The Trump administration released a statement Tuesday warning that, if Syrian President Bashar al-Assad chooses again to use chemical weapons, the United States will respond "swiftly and appropriately." 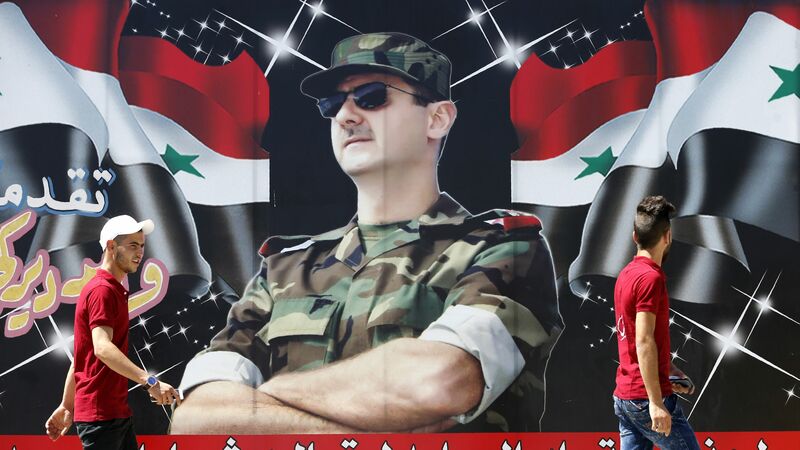 The big picture: Assad's forces, backed by Russia and Iran, are preparing to launch an offensive in the rebel-held province of Idlib, which could result in a massive humanitarian crisis for the almost three million Syrians who live there. According to Bob Woodward's new book, Trump reportedly told Defense Secretary James Mattis he wanted to assassinate Assad last April after the Syrian dictator used chemical weapons on innocent civilians. "The United States is closely monitoring the situation in Idlib province, Syria, where millions of innocent civilians are under threat of an imminent Assad regime attack, backed by Russia and Iran. President Donald J. Trump has warned that such an attack would be a reckless escalation of an already tragic conflict and would risk the lives of hundreds of thousands of people. Let us be clear, it remains our firm stance that if President Bashar al-Assad chooses to again use chemical weapons, the United States and its Allies will respond swiftly and appropriately. The United States will continue to work tirelessly with its Allies to find a lasting diplomatic solution to resolve the hostilities in Syria under the auspices of United Nations Security Council Resolution 2254."